NIOS D El Ed Admission form 2017 (teachers training): Diploma in Elementary Education (D.El.Ed) programme is a specifically designed package for inservice untrained teachers working in primary/ upper primary schools of different states of the country. The programme has been developed by the Academic Department, National Institute of Open Schooling (NIOS) on the initiative of Ministry of Human Resource Development (MHRD), Govt. of India, keeping in view the NCF 2005, RTE 2009 and NCFTE 2010. The Programme aims at enabling the target group to develop in them skills, competencies, attitudes and understanding to make teaching and learning more effective. Eligibility: service untrained teachers working in primary/ upper primary schools of different states of the country can apply for this course. What is minimum qualification for NIOS D.El.Ed.? NIOS D.El.Ed. How many years course? How to Apply: Eligible candidates may apply online through the website http://dled.nios.ac.in/ up to 30/09/2017. How to apply for NIOS D El Ed Teacher Online Form 2017? Sir , if untrained teacher is teaching in unrecognized school are eligible for admission online in d el ed in nios . I’m waiting for ur reply. Sir I am not able to submit my application. I have tried more than 50 times. What should i do? you can do it according to your state police about d el ed. 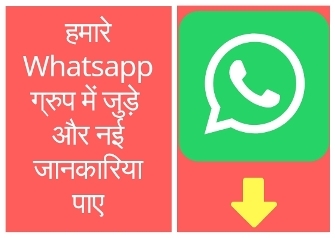 notification dekhe ya nios call center par baat kare. Sir my registration has been completed or not because still I didn’t get any nazar and mail after registration.M y references no. Is D082602698.plz make me sure it’s done or not . I did payment also through Debit card. sorry we are unable to do that. Go to nearest online center. sir give me nios call centre no. When willl I be able to registered this form next year??? We are not sure about that you have to conform it from NIOS customer care. I had done my b.ed in 2013..and now I filled d.el.ed.. Did I correct.. If not what should I do..
this form only for those who have not bed or ded. No. This course is only for those candidate who was teaching in Schools without d ed or b ed. Can a graduate with Deled eligible for teaching in class 1 to 5 ? NTT karne ke baad deled jaruri hai?